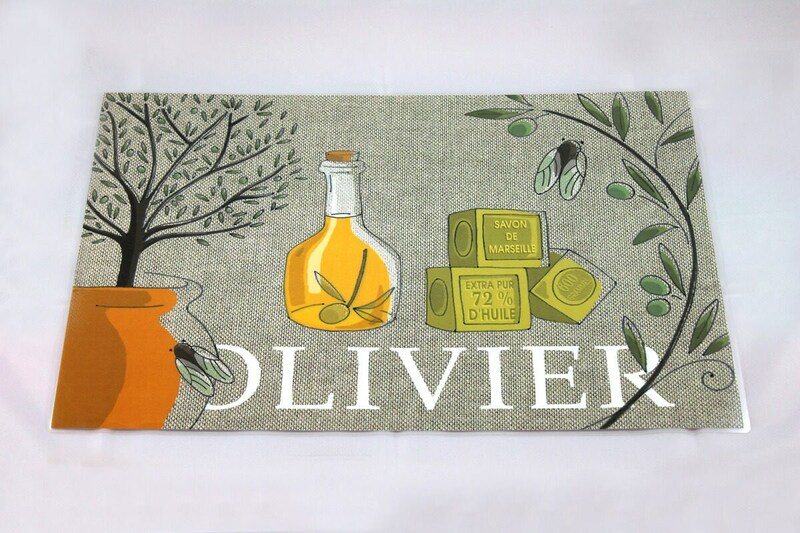 Way linen placemat illustrated and plastified "Olive"
Way linen placemat laminated "Olive"
Illustration original paper depicting a composition around the olive and olive, inscription "Oliver" on the way natural linen background. Laminating 125 micron high quality for daily use and easy maintenance. Available in 8 different designs. Pour compléter ma collection, super, comme d'habitude, merci !